Over the last many months, I have made it a conscious effort to attend several events related to professional growth and networking, in particular, women focused. Just two weeks back, I attended an exciting event for women entrepreneurs by Zone Startups India at the iconic building of the Bombay Stock Exchange. The event saw the launch of their accelerator program called ‘Empower’ for women entrepreneurs in India. There is so much to gain from such gatherings that are abuzz with talent and experience galore. Lots of encouragement, knowledge, contacts, advice and many other intangible goodies to go home with. What matters is how much of it you absorb there, lingers with you long after the event. And I find the one way to ensure that the inspiration stays on and prompts action is to put down in writing the highlights of all the learning. Our work reflects our state of mind – The keynote by Ameera Shah, Managing Director of Metropolis Healthcare, was a heartfelt honest account of her entrepreneurial journey. Of how her self-belief was put to test in her struggling days. And when she was balanced in her mind, her company found balance too. The work we do is often the mirror image of our heart and mind. Women have it harder than men – Women entrepreneurs take time to earn respect and credibility. Often they are questioned about their commitment levels, which is not the case with their male colleagues. They have to go that extra mile to prove themselves and their capabilities. Rural and urban women – There is no stopping women in pursuit of their dreams and goals, whether they come from rural areas or metro cities. As one of the panelists remarked that rural women are not as interested in advice or seminars like urban women take the effort to. They only want to know ways to earn and be self-reliant. Financial independence is an enormous driving force for all. Communities help us grow – To be a part of a community or communities that you can relate to has many benefits. Communities are a great networking platform. They help widen our perspective to work and life as a whole. Attending their invigorating programs foster our professional and personal growth. Moreover, the sense of belonging is a huge source of moral support for women at all stages in life. Support for women – With the onset of the start-up phenomenon, the women now have numerous support platforms to launch their careers or companies. Government initiatives toward better funding schemes, enhanced network connectivity, innovation policies, etc. has encouraged many women-led ventures in India. Mentoring is a huge game changer too. Women, its time to give wings to your dreams. Go for it! Here’s presenting my second review for the #BlogchatterEBookCarnival with the ebook ‘Off Beats’ by Gayatri Gadre. Travel is one of my strong passions. To pick a book on offbeat travel destinations to review – I knew that would be something to look forward to. It’s always interesting to read on varied travel stories. Every traveler has their own experience of looking at a place and describing the details from their lens. I was curious to know of Gayatri’s perspective of travel as well as her style of writing. 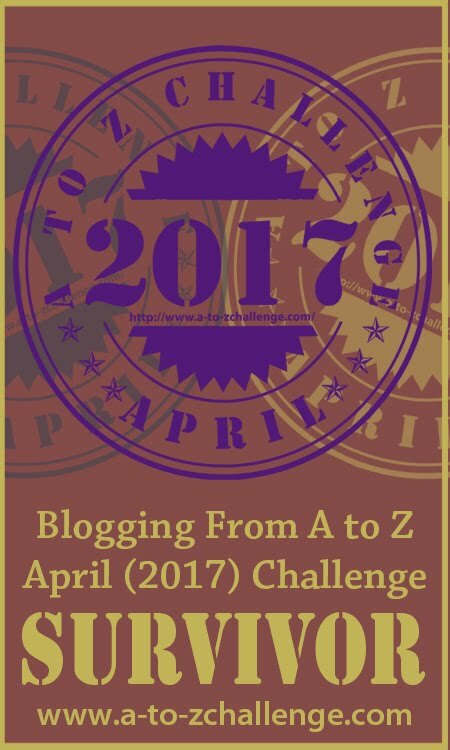 Another reason why I picked her book – she was the only blogger from the A to Z Challenge 2017 I had the privilege to meet offline. Gayatri shares an honest account of her travel tales in a simple, conversational – like informal tone. She writes about a variety of places – from the countryside of Bath in UK to our very own Elephanta caves in Mumbai. Her interests as a tourist reflect diversity – whether enjoying the museums in London to paragliding in Kamshet; from spotting a unique orchestra on a railway station to camping under the stars. Gayatri shares important information out of her own learning from different places. Travel tips like how to best reach the destination, what not to wear, what to avoid, what is a must-do and sharing important info links all serve as handy tips for passionate travelers. How I wish I had the luxury and time to travel like her, with long road trips and unplanned stopovers. Like she rightly says, we live multiple lives while traveling! What stands out is her vivid expressions of the places. What also strikes out is her own personal connect with the place, for e.g. when she describes the Stonehenge or shares the poignant message of the Corpus clock at Cambridge. The lesser-explored places have their own charm, each place speaks its own story to each traveler. Anne Frank’s museum will definitely be on my list when I visit Amsterdam. ‘Off Beats’ is a recommended read for those who like to take the untrodded travel path. Gayatri Gadre likes to call herself an explorer than an author. She offers digital marketing services to companies worldwide and in her free time she pursues various hobbies such as Latin ballroom dancing, Pottery, Origami and craft. Watch out for her soon to release debut novel. During the challenge, I got to know of so many bloggers blogging about various things across a whole lot of topics. Some of the bloggers did leave an impact, whether through their content or comments or connection – Cheryl Sterling was one of them. I enjoyed reading her posts, though couldn’t read them all in detail and told myself – I would like to revisit her blog. Her eBook ‘Writing Tools’ with 26 tips for improved writing and marketing surely seemed very appealing to the newbie blogger in me. Thus this first pick for my reviews. Cheryl has been an author with a career spanning eighteen years. Her experience and professionalism is very evident in her writing, an essential aspect of the book that first came through. The ebook encompasses essential tips required for writers to learn and market their content. The language is simple even for the non tech-savvy to comprehend and the content flows well. While the author impresses upon us what one should do during the process, she is also candid in expressing what did not work for her so that we do not pursue the same thing. The author’s personal learning experience with certain tools acts as a foolproof testimony. I was amazed with the depth she goes into for certain aspects of writing. For example, developing her fictional characters using Myers-Briggs personality test and Numerology. Her analysis across comparative tools (e.g. Draft2Digital vs Smashwords) is well-articulated. The book highlights the various social media channels and how to use them optimally including networking, importance of groups, scheduling, etc. The ebook indicates the author’s passion as well as expertise in the field. I only wish that the related links were highlighted in a separate colour or underlined for a quick reference/click. ‘Writing Tools’ by Cheryl Sterling is a valuable collection of tips for all aspiring authors, content writers, digital marketing students and anyone who wants to know the precious tools in the content marketing world. Cheryl Sterling is an American author of several paranormal and contemporary romance novels and short stories. Her first novel, What Do You Say to a Naked Elf?, was a finalist in the TARA contest and was later sold to Leisure Books, an imprint of Dorchester Publishing. Cheryl is a co-founder and past president of Grand Rapids Region Writers Group in Grand Rapids, MI. She has conducted several workshops that focused on the writing craft and co-chaired their first “I’ve Always Wanted to Write a Book” regional conference. Her passion is learning and improving her craft, but mostly, she is a teacher. Cheryl currently lives in Phoenix with her husband and their cat, Coco Xena. If I was ever granted a wish to meet one person in this world, just anyone in my wish list, it would be the woman I admire from my very core: Oprah Winfrey. To me, she is an epitome of ‘woman of substance’. A legend in her own right and an inspiring public figure. ‘What I know for sure’ is a beautiful book with excerpts from her monthly column of the same name in her magazine –O, The Oprah magazine. I was once afraid of people saying, ‘Who does she think she is?’ Now I have the courage to stand and say, ‘This is who I am’. Why it is important for women to be financially savvy! We are almost at the end of this financial year (31st March in India) as I sit to pen this blog post. Last few weeks I had to ensure all taxes are paid, income tax returns are filed, tax-saving deductions are done under Section 80C….Its time to review my investments. How are my mutual funds looking? The stock markets are high and volatile so have to plan well. I am in the midst of preparing my personal budget for the new financial year. Have to factor inflation rate plus increase in school fees…. Few years ago, all this would have been completely Greek and Latin for me. I barely had any idea about the financial jargon. When you have never handled your money on your own and are left-brain challenged, personal finances can seem daunting. Most of us Indian girls coming from a sound economic background are usually raised in way where the money matters are completely looked after by the father (and brother if there is) and after marriage by the husband (and the father-in-law if applicable). Traditionally, men have always taken care of the financial aspect in a relationship. No questions asked, all in good trust and faith. Flash back to the time when I was faced with my divorce. And with it came all the challenges of handling not only my own finances but also that of my minor daughters. The girl who had mainly worked with paintbrushes and pens was now compelled to look at numbers and excel sheets, big time. A single woman and a single mom put together in a situation where there was no choice but to take control. Learning the ropes of everything around money did not come easy. It continues to be a process of constant education till date. But I am so glad to have been thrown into the situation, else I probably wouldn’t have learnt as much. A lot of women I know have no clue about their own finances simply ‘cos there has not been any need to learn. One of my aunts had no idea about the medical policy details when my uncle was hospitalised in an emergency. A close friend does not know how net banking works. An older mom I know was clueless about her income tax statement and regrets not learning. Self-respect: When a woman equips herself with financial knowledge, she is able to control her money well. That fills her with self-confidence and puts her in charge. It is critical for her own survival skills when crisis befalls. When she can hold her own in a financial situation, her self-respect takes a huge leap. Key decision-making: It is generally the woman in the family who knows the family spends. Home management, paying for the children’s education and activities, shopping requirements, bills, etc. are usually in her domain of responsibilities. If she is financially smart, money management will be easier and it will augur well for better decision-making. Sense of ownership: You know your money well, you own it, you have a sense of responsibility. The onus is on you – to save, to lose, to spend. Even if you make mistakes, they will serve as lessons. But the sense of complete ownership is wonderful. No one can take you for a ride or cheat you when you know how things work. Exercising your choice: There are several modes of investments to allot your money. It helps you to make an informed choice when you are aware of your funds and financial needs at different stages. Organising and systematic planning comes very easily to women, especially mothers. She can use these skills effectively for taking important financial decisions. Sense of freedom: In most cases, money is the tool that allows us to enjoy the varied pleasures of life. If a woman is financially smart about her money choices, she need not wait for anyone’s permission or approval. She can indulge in whatever her heart desires. Now that feeling can be truly very liberating! You must ask yourself – how well do I know my money? Being the Queen of our hearts! Last week, I had been contemplating on a few subjects for my next blogspot (this one). I started working on something but then simply couldn’t take my mind off the recent episode of ‘Koffee with Karan’ on television. Not that I’m a big fan of Karan Johar or his show nor am I crazy about Bollywood. But his last episode featured actor Kangana Ranaut, who made a strong mark with her spunky, fiery attitude. The ‘Queen’ of Bollywood impressed with her no qualms boldness in what she had to say and the forthright manner in which she said it all. Now Kangana may have an unconventional demeanor and is perhaps not everyone’s favourite. But on this show, she was so brutally honest and opinionated, the other guest Saif Ali Khan was literally on the edge of his seat. Our drive – Kangana reminds Karan that he had ridiculed her English and her accent on the same show few years ago. But those comments became a drive for her, pushing her ahead. We can use criticism, mocking and rejection thrown at us as a driving force towards success – to unleash our mettle, though not necessarily to prove a point to others. Poser: What or who is the driving force in our life? The value of our values – Kangana refuses to endorse fairness creams. She has never cheated on her partner. She does not do shows simply for the lure of money. Her values bear far more significance than doing something that doesn’t feel right. We all need to set our moral boundaries at every stage in life. More importantly, stick to them and beat any sort of peer pressure. Poser: How much do we value our value system? Gender equality– When asked which of the Khans would she like to work with, she bluntly replied none. She wouldn’t’ be seen as an equal. This, when most of the Bollywood actresses today would do anything to bag a role opposite any of the Khan trio. Her exuding sophistication outshone even the suave Nawab on the same couch. She rightly pointed out that men think women have low IQ. Why do we women have to share the limelight with men when we can be the limelight! We don’t need to shortchange ourselves, do we? Poser: Are we living in someone else’s shadow? True wealth – When asked whether she would rather be rich without love or poor but in love…she retorted saying her idea of poverty could be very different from his. Rightly said for his movies are always a superlative statement of luxury and brands. She added, artists have always chosen truth, beauty or values over money. If you have true love, you will have a rich life. Wow! The concept of real wealth differs from people to people. What are we really here to gain? Fame? Success? Billions? Poser: What are you seeking that would make you truly rich? Honesty over diplomacy – Kangana admitted being jealous of others’ success. She was honest about not having friends in the industry. Her brazen opinions about Karan came forth uninhibited (‘flag-bearer of nepotism’ and ‘the snooty movie mafia’ being the highlights). She was candid about disliking certain habits of her co-stars and directors. It is easy to indulge in backstabbing. But it requires conviction to blatantly speak the truth. And it takes courage to be unabashed on a global platform. Poser: Are we righteous enough to say it like it is on the face? Being genuine – Kangana said she didn’t want to fit in and tried to be as normal as she could in this superficial industry. And look how she stole the show with her candour, just by being herself. Don’t we all want to lead a life that needs no mask or explanation, a life that resonates with our genuine core? Learning to build our own strong beliefs rather than conforming to those of others? Simply discovering who we are and be our authentic selves? What a sense of accomplishment and fulfilment that would bring! Poser: Is our outer world in alignment with our inner world? She came, she conquered and she won hearts like a true ‘Queen’! Poser: Will others be able to say this for us? It’s Valentines Day tomorrow – love is in the air! Candlelight dinners are being booked. Valentine cards with pop-up hearts are selling across gift shops. Heart-shaped red balloons have been visible on street signals past few days. Couples of all ages right from teenyboppers to the newly marrieds to the been-married-for-decades look forward to this day in their own ways. The thought of spending precious time with your loved one and receiving lovely goodies makes it a day to cherish. Thinking of it all makes me wonder what does Valentine’s Day hold for singles like me that do not have a doting partner. It’s a day meant for love, but does it have to be celebrated only by couples? Nah, it’s a day to celebrate love and love does not necessarily mean your special someone or spouse. There are so may people in our lives on whom we can shower our love. How do we make it special for them and for us? What does love really mean anyways? With time and wisdom gained from life’s experiences, I have learned to believe that love truly begins by loving ourselves first. If we are unable to love ourselves, we cannot sincerely love others. When our self-love grows, we become happier and confident and thereby radiate more love. No matter how many relationships we have and whatever their quality maybe, it is essential to keep coming back to the one relationship that counts – with our self! Self-acceptance –We are all born as unique individuals. Beautiful, quirky, imperfect, flawed, talented – we are who we are with all our positive assets as well as our shortcomings. Rather than wishing that we were made differently or comparing ourselves with others, it is good to acknowledge everything about us. Self-love begins with accepting ourselves as we are. Self-esteem – No matter what choices we make in life, be focused on who you are and not how others see you. Do not get defined by others’ opinion or judgment about you. Work on maintaining a healthy self-esteem and self-worth. What you think of yourself is much more important than what people think of you. Self-appreciation – How wonderful it feels to be appreciated by people. To be applauded for your accomplishments, for how you made a difference to others and for the value you add in everyone’s lives. And when you feel less appreciated than what you deserve, or crave for, then give yourself a pat on your back every once in a while. Its good to remind ourselves of where we were and how far we have come crossing several life hurdles! Self-care- Love means being kind, encouraging and caring. Self-love is to be that and direct all those energies towards us. We don’t necessarily need anyone else to care for us, we are capable of pampering ourselves in more than one ways. Look out for yourself. Take time to indulge in what makes your soul happy. A little celebratory pastry once in a while will not hurt your body. Self-respect- Self-respect is a virtue no one can take away from us. Do not lose your dignity by demeaning or short-changing yourself. The way we treat ourselves is in a way an invitation for others to treat us. It’s important to stay away from people and situations that pull us down. Maintaining our self-respect is key to self-love, we must preserve it at all cost. Loving ourselves does not mean we are selfish or self-indulgent. It means nurturing ourselves and replenishing our spirits so that we can give from a place of fulfilment. It is a cornerstone for healthy love and healthy relationships!